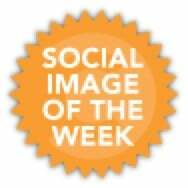 Editor’s Note: This post is part of a series that highlights interesting examples of brands using imagery to their content marketing advantage. Read on for this week’s example and analysis from Jessica Gioglio. This post is a reminder that brands should be a little more ferocious in their content strategy. If you focus on capturing stunning, yet powerful visual imagery, don’t ruin the impact of the photo with a lengthy caption. 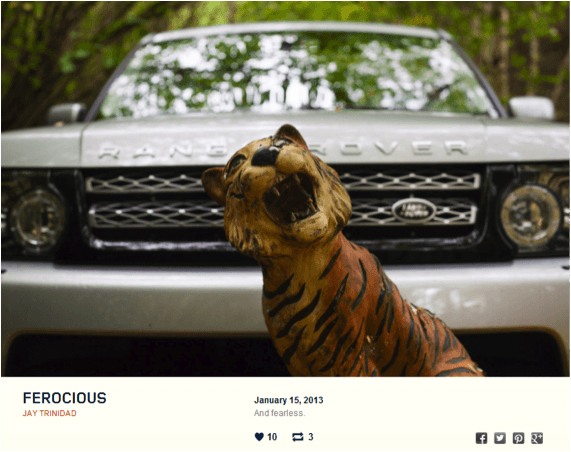 Simply let the photo speak for itself with a clever, brief caption that aligns with the product you’re selling like Land Rover did here with, “FEROCIOUS. And fearless.” The image is highly stylized, which speaks to the quality and luxury of the car, but the copy showcases that this high-end vehicle has the heart and prowess of a tiger. For more inspiring examples of simple, yet moving content, visit Land Rover USA’s Tumblr page: http://tumblr.landroverusa.com.